August Derleth was born in 1909 in the United States, he died in 1971. He became a correspondent of Lovecraft in 1925, then his friend. At his death he continued his fantastic work both as a writer and as an editor. Arkham House, his publisher, has raised awareness of the complete writings of Lovecraft. 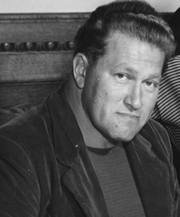 August Derleth is currently considered a "single author." If one or more works are by a distinct, homonymous authors, go ahead and split the author. August Derleth is composed of 27 names. You can examine and separate out names.